The definition of philosophy — judging, at least, from very nearly every philosophical dictionary on the planet — has confounded philosophers for centuries, the concept being “too large,” it is sometimes said, to properly capture in concise fashion. Yet at the same time, in all branches of philosophy, minutia is cataloged to complete weariness. That statement — and all others like it — is flatly false. Philosophy is the science of rudiments and foundations: it is the study of fundamentals. A philosophy is an organized system of ideas and arguments. Etymologically, the word, as you know, comes from the Greek term philia (meaning love) or philos (meaning friend or lover); and sophia (meaning wisdom). A fellow by the name of Diogenes Laertius claims that the term “philosopher” was coined by Pythagoras, in place of the word “sophist,” which meant “wise man.” But Diogenes Laertius was squirrelly, and his Pythagorean claim is dubious. Philosophy, Mercier continues, “deserves above all to be called the most general science” (A Manual of Modern Scholastic Philosophy). Philosophy comes first, and last. Philosophy is the alpha and the omega. It is the most fundamental science because it studies the foundations of all subsequent knowledge, and that is why all the other sciences depend upon it: because knowledge forms a hierarchy. For humans, to live is to think. Philosophy provides an ultimate context — a gauge — for human knowledge. It systematizes the proper methods by which we are able to know. And that is the definition of philosophy. 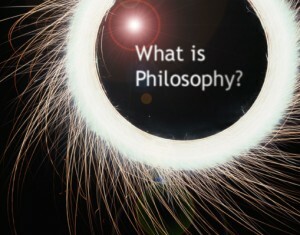 Philosophy-what we perceive from within and relating it to what is or could be….simple but unique! What do you think,Ray? Simple enough??? I finished reading your book the other week! Been involved on the continuing saga in my immediate life as whether the House will sell at the Sheriff’s auction on the 15th of this month. It didn’t. For Will The Light Take Me Where I Need To Go? Will I Loose Sight Of Life From Within? My Most Gracious Answer Is “NO”! Nothing Has Precided Me, Nothing Will Come After Me! Can I Seek More? Will There Be More? Surely You Just! Truely In The Most High, I Speak To You With Heart And Pureness! It’s As Simple As The Sun Before Your Eyes, And The Stars At Night! I Am The Lamb! The Meek And Humble Shall Inherit This Earth. This all happened within less than 5 minutes and typing as fast as I could…If you showed me these words 10 minutes later and I hadn’t written or typed them down, I wouldn’t have remembered them for they are “not” from me…I’m sure their are people who don’t believe me…For that is OK but what I speak is for you, Ray. Your understanding “confirms” all that I thought “is” in this World. I appreciate it very much. I see you on the Mentalphysical and me on the Megaspiritual sides of this Earth. It’s good to see you, Denny. Thank you so much for your kind words about my book.